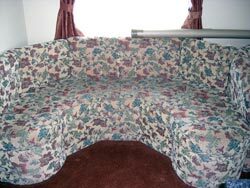 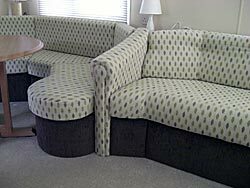 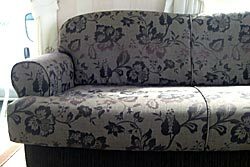 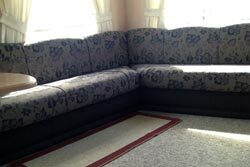 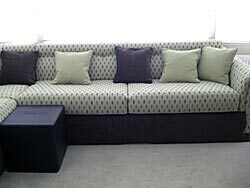 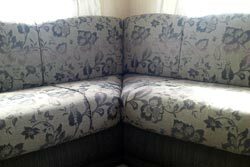 Upholstery Sewing Services, Caravan upholstery refurbishing, Scotland. 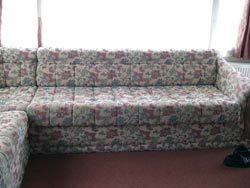 Caravan Upholstery Refurbishing, including seats, pelmets, curtains and kick boards. 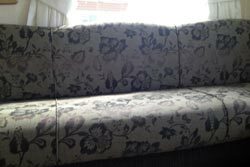 In this caravan we replaced the foam interior so there was no need for buttons, giving the whole interior a more modern finish. 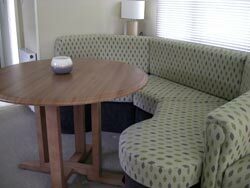 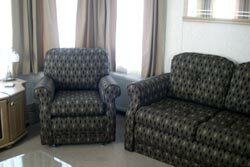 The refurbishing was completed with contrasting kick backs and pelmets and finished with scatter cushions to suit. 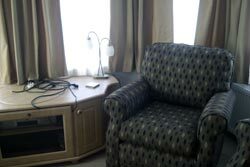 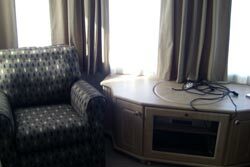 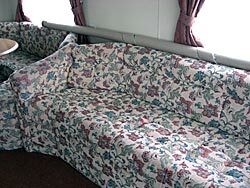 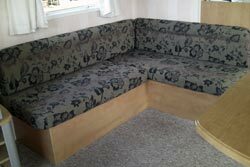 A further example of our expertise in the caravan upholstery refurbishment. 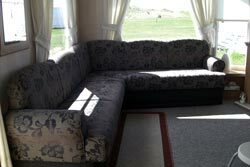 Another example of our work in the caravan industry.